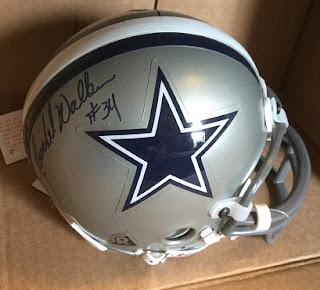 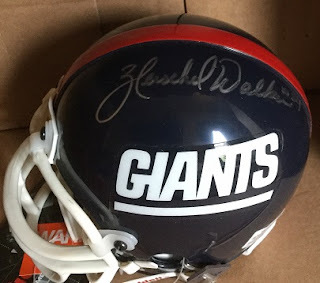 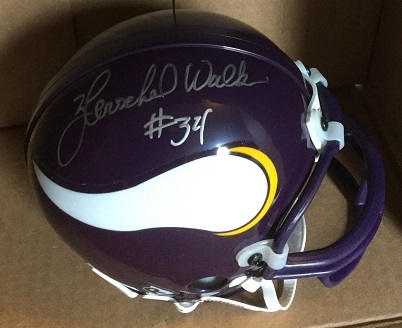 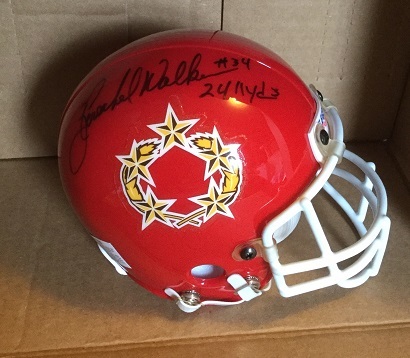 Here is my collection of mini helmets by the Riddell company, which Herschel has autographed. 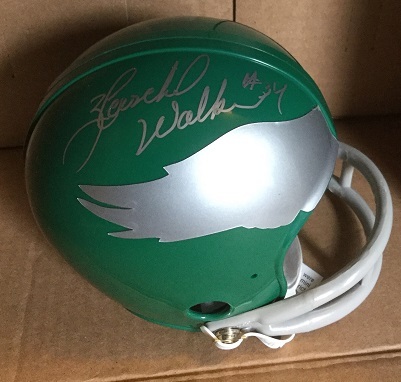 These represent all the teams that Walker played with in his football career. 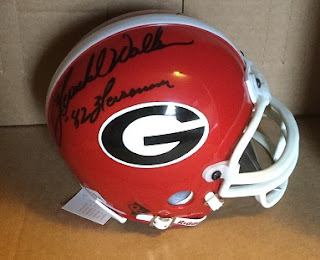 On the Georgia helmet, he has added the '82 Heisman inscription. On the New Jersey Generals example, hes had noted the 2,411 yards he gained, still a pro football single season record. The helmets are shown in chronological order, with Herschel finishing his career back in Dallas in 1997.